We are the manufacturer of Deuterated Trimethylboron. We are a trader of Deuterated Trimethylboron with the high degree of excellence which is appreciated by our clients. Our excellent manufacturing units are known to be at par with the international standards which in turn helps us to provide quality centric products. We ensure that the price of these products are less and are competitive as well. We ensure that this product is transported in the safest manner in robust cylinders which are fabricated to perfection by our skilled personals. 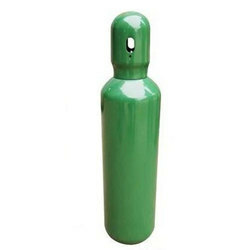 It is a flammable gas and may form a mixture of air that does not ignite but are flammable. TMB is violently reactive with water, oxidizers and halogens. Cause damage to eyes/face, skin, lungs, wear appropriate protective clothing when handling the cylinder.